Although today the odd passerby or the visiting foreign tourist - perhaps unawares of the basics of Chinese revolutionary history - might not immediatly recognize it as such, the May the 4Th Movement Monument in the central Beijing District of Dongcheng is one of the major landmarks of Communist History to be found within the Capital of China. However, due to it being more modest in size and far less grandiose than many of the cities' other monuments it is quite easily overlooked and therefor does not usually make it onto the iteneraries of tour guides and visiting tourists. Nevertheless, if you have the time to dwell about in Beijing, it may be interesting to pay a visit to this monument, before or after heading on to one of the museums or historic sites nearby. 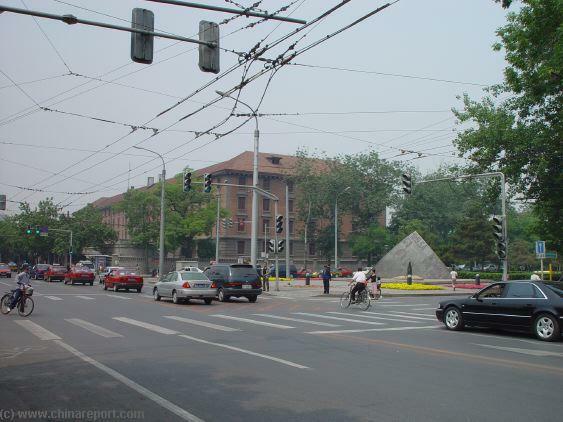 View of the Monument of the May the 4Th at the intersection of WuSi Dajie' and BeiHeyan Dajie'and DongHuangChenggen Bei Jie' crossing from left to right. 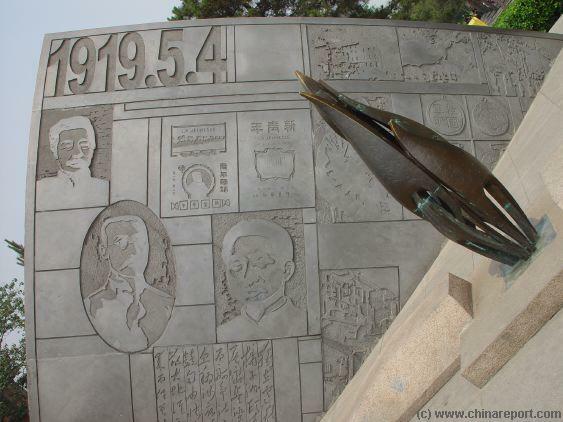 Monument of the May the 4Th in the DongCheng District of Beijing. On the Day of the Protests in 1919 AD, students followed the direction of traffic in this Photo to gather at the entrance of Jingshan Park. Bicyclist Pass the Monument of the May the 4Th in the DongCheng District of Beijing, while a Rickshaw Man awaits a Tourist Ride. 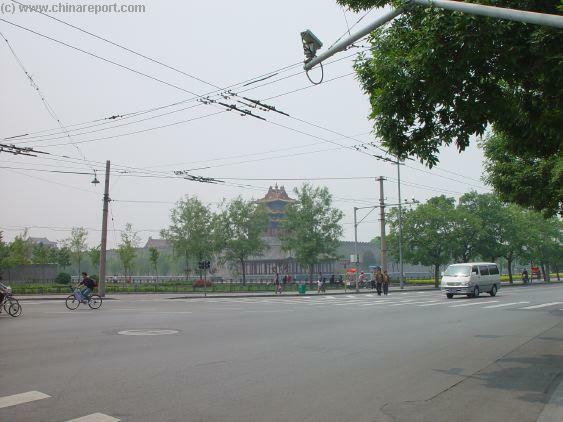 To the West (left) lies the Palace Museum, a popular rickshaw-ride destination. 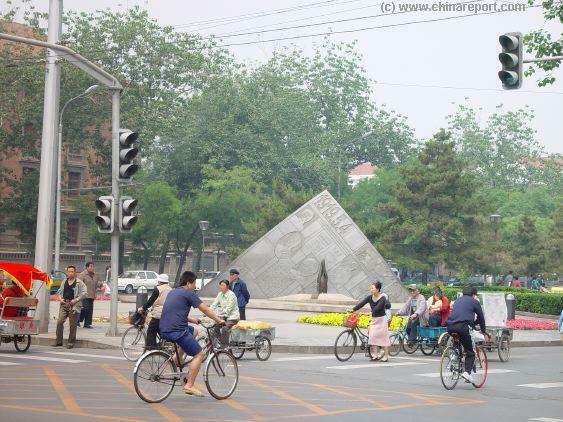 Local Traffic at the Monument of the May the 4Th at the intersection of DongHuaChengGen and BeiHeyan Dajie' in the DongCheng District of Beijing with in the background the former location of Beijing University buildings. Although it would go too far to discuss all of the events leading up to the May the 4Th of 1919 and to explain why a new political shockwave was unleashed that day it seems essential for understanding the Monument and its meaning to describe some of the history of this part of Beijing, of China's long revolutionary struggle and of the history of the may the 4th Movement itself. As the official Communist Party line still firmly holds today, and which would be agreed upon by world historians, many events preceded the sparking of the May the 4Th Movement in that turbulent spring of 1919. The most important and most recent of these had been the Boxer Rebellion of 1900 AD, which played itself in the same city, the Xinhai Revolution of 1911 which led to the fall of the Qing Dynasty and Beijing as the National Capital, the failure of this Revolution and last but not least, the hated Japanese 21 point edict issued to "Traitor General" Yuan Shikai the new Man in Power in the year 1915 AD. Altogether, Chinese political frustrations were high and counted many. There was the overall infringement on China by Foreign Nations, the creeping but obvious advance of arch enemy Japan on the mainland and numerous humiliations and exploitations of the people by foreign industrialist and their Chinese cooperators including slave labor, child labor, low and unfair wages, no social security and corruption and crime everywhere. China had been abused and was being abused and so were its people. As had been demonstrated in the 1900 AD Boxer Rebellion foreigners had been hated for a long time and so further provocations or humiliations could find a tinderbox in the passions of common people in all layers of society and all over China. In the near Century leading up to the May the 19Th, too many events had already occurred, setting the stage for the emancipatory Chinese protest of that Day, the May the 4Th of 1919 AD. In Fact, for Centuries already the West had been encroaching on Chinese Sovereignty, trying to gain a foothold on the Chinese Mainland and grow influence there. The 19Th Century would bring a turning point in Relations and the May the 4Th of 1919 marked another step in the reversing of the whole process. The event that sparked a new outcry in China was the final conclusion of World War I (1914 - 1918), the ending negotiations of which were (notoriously) being conducted outside of the French Capital Paris, at Versailles, on the other side of the Eurasian Continent. There, among the great powers of the western world a Chinese Delegation was struggling to have China's voice heard. Finally, China - which had entered late into the World War just for the political purpose of winning recognition by its more powerful overlords (in 1917 AD China had entered World War I on the Allied Side on the explicit condition that all German Spheres of influence in China were to be returned to Chinese Sovereignty afterwards) - could by honored and thus emancipated as one of the issues at hand was the dividing of German Colonial possessions, which included extensive "possessions" on the Chinese Shandong Peninsula (Around Qingdao in Shandong Province). Unfortunately, the chance was missed. The Versailles Treaty did not deliver upon the expectations of many, especially the Chinese. Although world peace seemed to have been after years of insane massacres, the Versailles Treaty failed to negotiate many political matters and thus laid the foundations for more trouble and violence in the future. This was certainly the case for China. China's Dynasty and its political order had been destroyed, its 1st Republic of China had failed and in 1915 the "Traitor General" Yuan Shikai, had tried to crown himself Emperor triggering the fragmentation of all the realm. Chaos reigned supreme and suffering was extreme for four years. The only ones who benefited from this were again Foreigners. The earlier actions of Foreigners and Treacherous Chinese alike left China of 1919 AD in political upheaval and turmoil. China was fragmented, rudderless, and new political idea's were many. One Emotion was common among all: the Chinese citizenry had had enough of Foreign meddling and were yearning for a new National Identity and a Sovereign State. Thus, the European decision of that Day, the May the 4Th of 1919 AD, could not have been more unfortunate. On May the 4Th 1919, upon hearing the outrageous decision that Shandong would be awarded to Japan instead of to the Chinese motherland, Beijing students took to to the streets in what became a massive and unprecedented protest in Chinese history. While Japan cheered and, likely, chuckled at this new won diplomatic victory and the world cheered at the German humiliation, in the East and far away from Versailles, not peace but violence erupted and the foundations for yet another war was solidified. The Chinese response to the in hindsight historically flawed decisions of the Versailles Treaty amounted to bitter and thorough outrage. Although China had helped the West which exploited it, it was not given anything in return. Not only that, as has since become obvious to the world but must have been clear to most Chinese by then, the awarding of the Shandong possessions to Japan largely aided this newly arising and militarist Asian Nation in its further conquest and annexation of Chinese territories in the north. 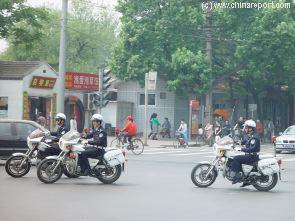 This made the situation in north China and the ancient Capital of Beijing especially acute as everyone. As everyone was aware, they were about to be next. Although it came as a surprise to the local authorities, naturally an already frustrated citizenry responded. Closer View of the Face of the May the 4Th Monument resembling a Page from a Book. A bronze eternal flame symbolizes the importance of that day in history. 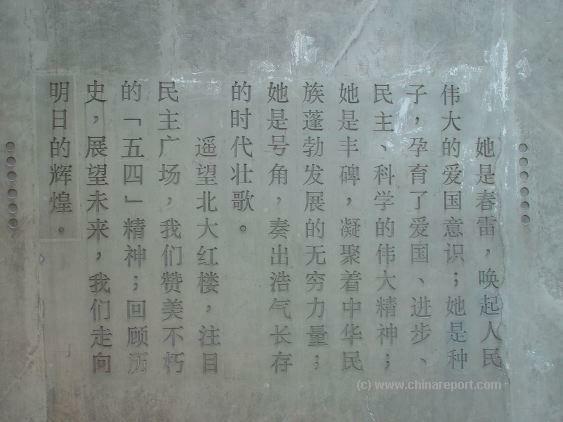 The Engraved Text on the Back of the May the 4Th Movement Monument is an Honorary Poem. Literally it declares "she's spring thunder, arouse the great patriotism of her people" , "she's a seed, gestated patriotism, progress, democracy, science" and some more follows ..
A Restored Jingshan Pailou standing between Palace Moat and Driveway at Jingshan Dajie'. In 1936 this Pailou witnessed the passing of yet another mass student protest. The original Pailou of 1936 AD stood reaching across Jingshan Boulevard, but was removed at sometime after during the later 20Th Century. May the 4Th Monument among flowerbeds under a clear blue sky in May of 2006. May the 4Th Monument along the Avenue of the May the 4Th in Beijing in May of 2006. Front Side of the May the 4Th Movement Monument depicting the Heroic Leaders of the May the 4Th Protests that turned into a National Movement. Later many students that organized the protests or particpated went on to service in the Revolutionary Forces that later became the Communist Party of China. Depicted are: Li Dazhao (Writer + China Communist Party Founder), Chen Duxiu (China Communist Party 1st Secretary General) and Li Shicen (Philosopher). December 12Th 1936. James Bertram. Anti-Japanese Protest at the May the 4Th Avenue. Gathering at Jingshan Pailou, near Shenwu Men, the Palace Museums' North Gate. Eventually the students were stopped, one group attempting to reach Jingshan from the West, the other group approaching from the East to join at the Jingshan Pailou wooden ceremonial gate. Students killed and wounded, many arrested by the Nationalist Police. Li Dazhao was a writer of the.. Lets Take a Rickshaw ? 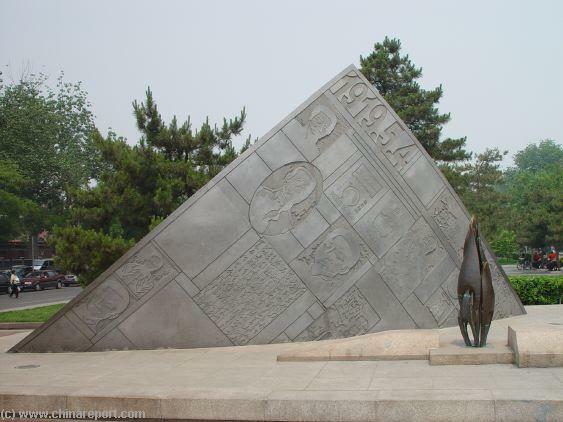 As can be inferred from the above introduction, the May the 4Th Movement Monument is located in the DongCheng District of Beijing. 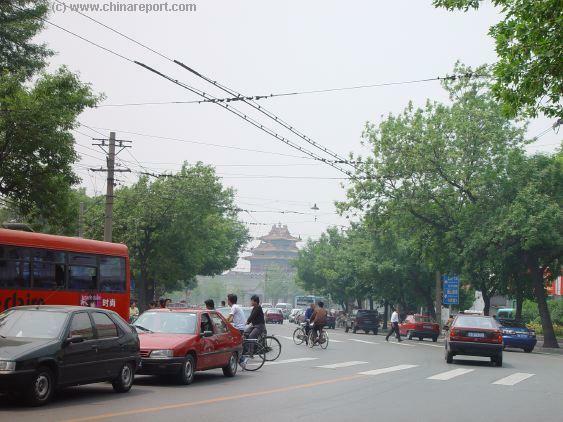 As a historic place representative of early 20th century Capital it is situated well within the confines of the ancient Ming Dynasty Era City Walls which is now mainly represented by the pathway of thee 2nd ring road. 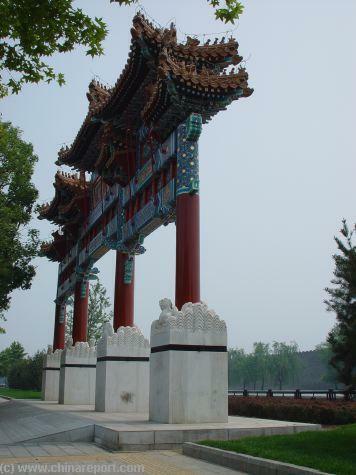 Altogether, the monument stands not to far from the Palace Museums' North Gate of Divine Military Might (ShenWu Men) and Jingshan Park and can easily be reached. View along West section of Wu Si Dajie' with the North-East Corner Watchtower of the Palace Museum in background . Intersection of Nanchizi Dajie, Jingshan Dajie' and Wu Si Dajie at the North-West Corner of the Palace Museum, Wall and Moat. Map of DongCheng District with Location of the May 4Th Monument. Click Map to go to Full Version. The May the 4Th 1919 Memorial Hall is also located at Wusi Dajie', to be precise at Number 29, West of and adjacent to the Monument of the May the 4Th. The Memorial Hall is located inside The Red Building or Honglou, formerly a part of the Peking University. Constructed between 1916 AD and 1918 AD in the Shatan Area of the City for Peking University Students the Red Building Became Famous during the May the 4Th Movement Years at the Start of the new Cultural Movement. It was the home of the Literature Academy of Peking University. On the First Floor of the Red Building one can find more. Inside are the (Former) Office of Writer Li Dazhao, who at the time of the May the 4Th Protests and Movement was the Head (Secretary) of the Beijing University Library. His Office remains completely preserved, as was during his Times in Office. Naturally, the reading room in which Chairman Mao once worked and other rooms also remain, preserved as musea and cultural relics. On display inside the room are 20 kinds of Journals and Magazines from the 1919 Era, on loan from the National Museum (at TiananMen Square). Last but not least one can view two video's in the video room. One video film highlights the former residences of Celebrities of the New Cultural Movement in Beijing, among who Mao and Li Dazhao. A second video entitled "The May the 4Th Movement" gives an easily understandable and in-depth historic review of the History of the May 4Th Movement. A rickshaw with passenger driving on the pedestrian side-walk along the North Wall & Moat of the Palace Museum. The North Moat & Walls are a prefered spot for rickshaw drivers to attempt to find customers (Photo May 2005 AD). freedoms. 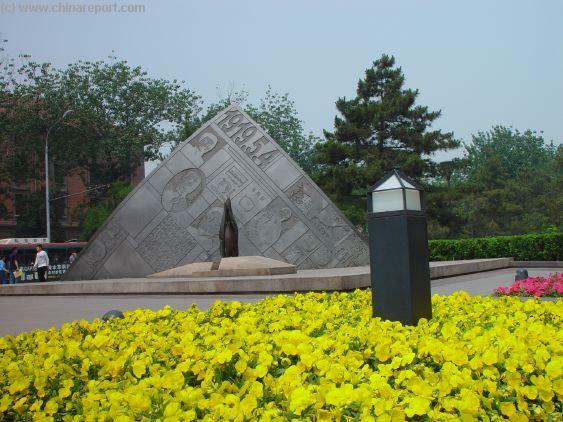 Under Cai YuanPei Peking University became a bullwark of Leftist thought and a hot-bed of Political activity. Among those hired as teachers at the Institute were Chen Duxiu, a leader in the New Cultural Movement, who was to head the Liberal Arts Department of the school, as well as Li Dazhao, Hu Shi and Lu Xun (Zhou Shuren), the latter a strong socialist thinker and later the most important Chinese Writer of the 20Th Century (and much admired by Mao Zedong). All three of these were representatives of the leftist new Cultural Movement. The many representatives of the movement at the college form a united “new culture” camp, promoting the emergence of many mass organizations and publications. 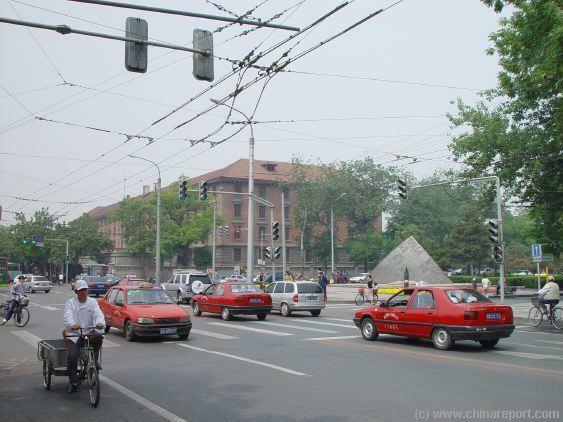 As a result, Honglou (The Red Building) became known as THE base for the New Cultural Movement. Much Celbrated by the Communist Party of China after 1949 AD,this is where the great patriotic May 4th movement was born Li Dazhao, Chen Duxiu and other early Chinese Marxists first fired the flames of the Chinese revolution at the Hong Lou. Opening Hours of the Memorial Hall of the Beijing University are 8:30 AM to 16:30 PM, except on mondays when the Hall is closed to the Public. to the refounding of the Nation, a nation free from Capitalists and Imperialist subjection ruled by the Chinese People and not ruled by a feudal or other master. Although this fact goes far less mentioned, the May the 4Th Movement also marked an important beginning for the Women's Liberation Movement in China, the cause of the emancipation of women in China, a cause that would become intertwined with the cause of socialism and the modernization of feudal China into a modern state. and near the (former) buildings of the early cradle of Chinese Revolutionary thinking, the Beijing University, the monuments sits in what can be considered a historically correct position. It honors the entire neighborhood in which some of the major revolutionaries in Chinese History lived their lives and did their now famous early deeds and founding works. In 'those days" Mao Zedong lived and walked around in this area of the City but not yet in prominence. So did Lu Xun, Mao Dun and several other now renowned revolutionary thinkers. These two were Professors at Beijing University, at the time China's leading political and social thinking tank, and in the streets surrounding the monument (west of the intersection and the monument) were buildings of Beijing University where they studied, thought and shared their zeal for a new and more equal Chinese society. The May the 4Th of 1919 AD, as one of the major events in modern Chinese History, is still remembered all over China and its memory is kept alive by the tradition of May the 4Th Youth Day. In Beijing Students had been in support of the new Republic and debating social and political issues vigorously for years. Under a local Warlord Government that only appeased Foreigners so as to extend its own powers, the students became increasingly restless. Therefor, they had been following the Versailles negotiations closely. They were to be disappointed. condemned the handing of Shandong to Japan and called for a Mass Gathering of students in Beijing in the afternoon of that same day to Honor the new "National Humiliation Day". Hence, Masses of students were on the streets in the afternoon, heading towards the meeting and rallying point at TianAnMen. Among students gathered were at least 3000 from Beijing University. 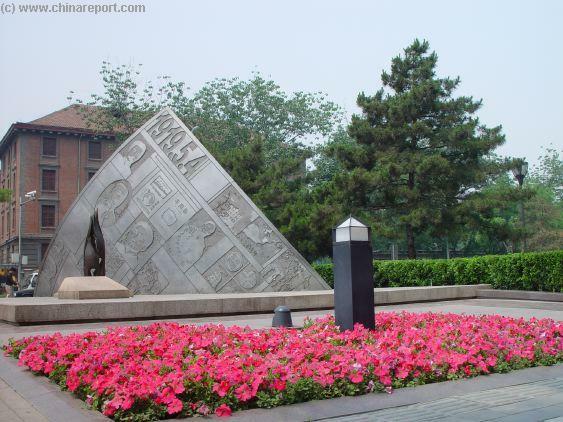 To take the historically most correct and also most interesting route to the May the 4Th Movement Monument start your walk off at the Forbidden Cities' north gate which is easy to locate and a convenient spot to meet up. There is only one north Gate and it can not be missed. From the majestic and often busstling North Gate of the Forbidden City start your walk by heading due east East and follow along the outside of the moat or along the road, whichever you prefer. 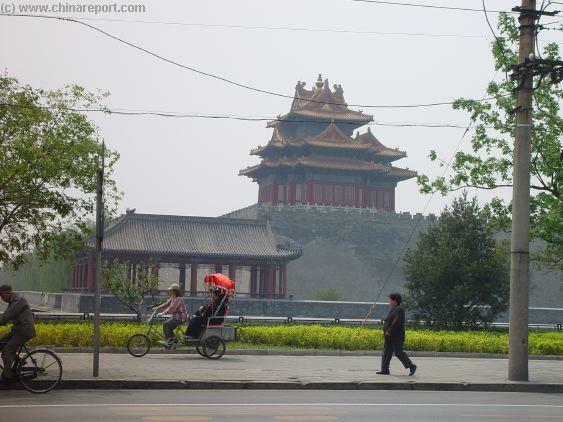 While enjoying the scenery of the north flank of the Palace Museum continue walking until reaching its corner-watchtower and the intersection north-east of it. At this point directions go South, which is down along the Palace Moat, Back to the West to Shenwu Men (North Gate) and up and East. The latter is the direction you will need to go. So, from the Corner Tower go slightly up and North and subsequently keep heading East. This puts you on the Avenue of the May the 4Th also known as Wu Si Dajie' which leads down past the old buildings of Beijing University to end up at the May the 4Th Monument and so follows part of the original trajectory taken by the students on their protest march in 1919. 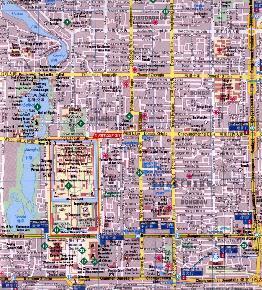 AsiaReport.com Map of Asia & China - Location of May the 4Th Monument in Dongcheng District of Beijing. as it was already back in May of 1919. 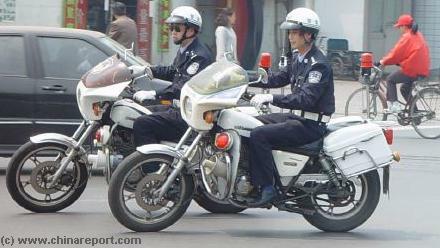 Although the noise and busstle may be distracting, there is no need to worry. As long as one follows Wu Si Dajie' one cannot miss the Monument. Keep going for several 100s of meters until you are there. 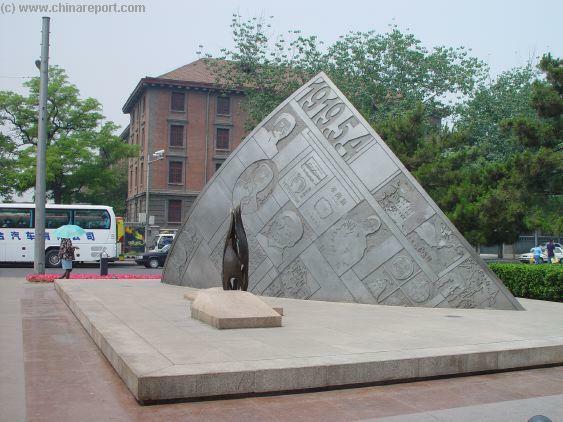 The Monument is located on the North Side of the Road, one intersection due West of the - China National Art Gallery, which stands at Wu Si Dajie', the Avenue of the May the 4Th. A last thing to know beforehand is that the Monument is not very big or tall, so can only be spotted from near its location. 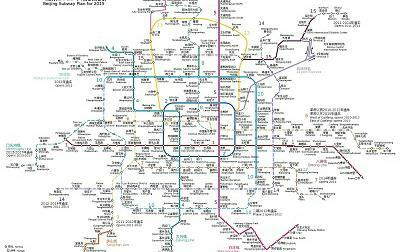 Full Map of the Beijing Subway System of 2015 AD - Click Map for FULL Version ! Museum (Previously China Art Gallery) before reaching the May the 4Th Monument site. violent. The Minister, one Tsao Ju-Lin was attacked at the home, in the process of which a Japanese Minister, Minister Chang, was severly beaten. Part of the House was set afire and many students were arrested as the crowds cheered them for their deeds. Thus, the Protest, from a Chinese point of view, was a Major Success. According to Press Reports (China Herald) some Beijing Citizens were so moved by the students stand for National Emancipation that they wept while watching the column march by. Finally, after more than a month of demonstrations, strikes, and boycotts of Japanese goods, throughout China, the government had to appease its citizenry. The BeiYang Government refused to sign the peace treaty with Germany. in 1921 AD. The May the 4Th Movement lasted untill the year 1923, when fresh political events saw it merge with the ideas of the Chinese Communist Party and the left wing of the KuoMinTang. Students from all Universities and Middle Schools in Beijing took to the Streets to send a united message of outrage. The Protest of the Beijing students gathered at TianAnMen Square, then marched in a large and swelling column through the Capital while carrying signs and shouting anti-japanese slogans. Along their route the students distributed pamflets with their grievances and behaved civilized, however upon reaching the home of a pro-Japanese BeiYang Government Minister (the Beiyang Government are also more aptly known as the Northern Warlords which better describes their style of rule) the Protests suddenly turned violent. In an instant the crowd lunched forward breaking through police lines and attacking the cornered diplomats. In the skirmishes the Beiyang Minister in case escaped but a Japanese Minister was caught and severely beaten by the crowds. From then on, things spiralled out of control. It was an International Riot and the Chinese People were finally standing up as had been shown by the brave Beijing students and which was no transmiited word to mouth and through all other channels throughout the Chinese Provinces. The Beijing Student Protests of that Day marked the beginning of an upsurge of Chinese Nationalism, that initially spread to neighboring Tianjin and from there to other Chinese Cities inspiring many anew in an otherwise depressed, tumultuous and downtrodden Nation. Through years of struggle, they and many others would eventually lead the Chinese to Emancipation in the creation of a new State, the Peoples Republic of China. In honor of those students, the early revolutionaries of China, many of whom went on to service in the Communist Party during the Anti-Japanese War and beyond, and in remembrance of the cruel student massacre of 12 December 1936 (another historic Beijing student massacre - see below), the Lane connecting the Monument with Jingshan at ShenwuMen at the Palace Museum has been renamed Avenue of the May The 4Th Movement.